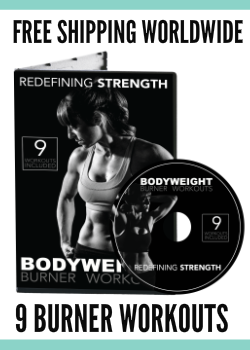 Often to work and challenge the big muscles of our body, our legs, chest and back, we turn to weights. But there are a lot of great bodyweight exercises out there to challenge even advanced lifters. When it comes to working our back, the usual go-to bodyweight exercises are the Pull Up and Inverted Row. And while I love the Pull Up and Inverted Row, these two moves still require equipment that we don’t all have at home. Pull Ups – A great compound exercise to work the back. To do the basic pull up, grab a bar with your palms facing away. Hang down from the bar with your arms straight. Drive your chest up toward the bar, pulling your shoulder blades down and back. Lift your chest to the bar and then lower back down. Do not swing and make sure to lead with your chest as you pull up. Fully extend your arms at the bottom. 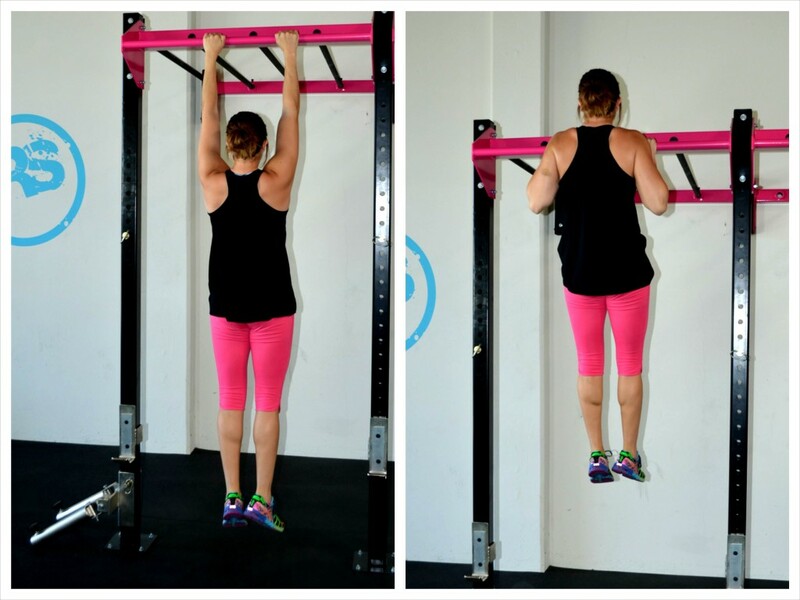 For variations and modifications of the pull up, check out this post. 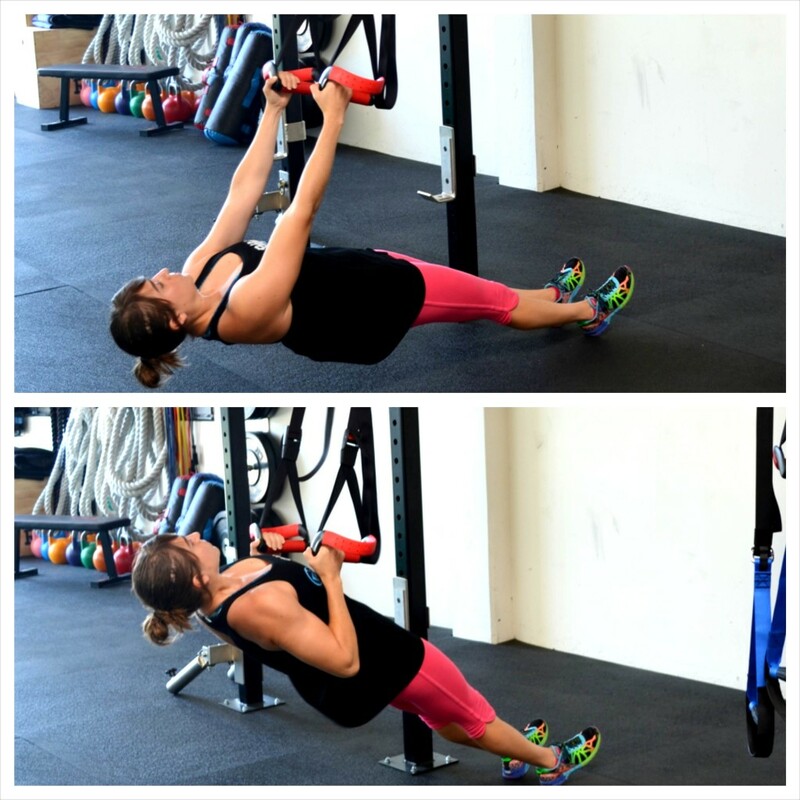 Inverted Rows – Another great compound exercise to work the back AND a great way to build up your pull ups. It is also a horizontal pull so works the back in a different way from the vertical pull up. 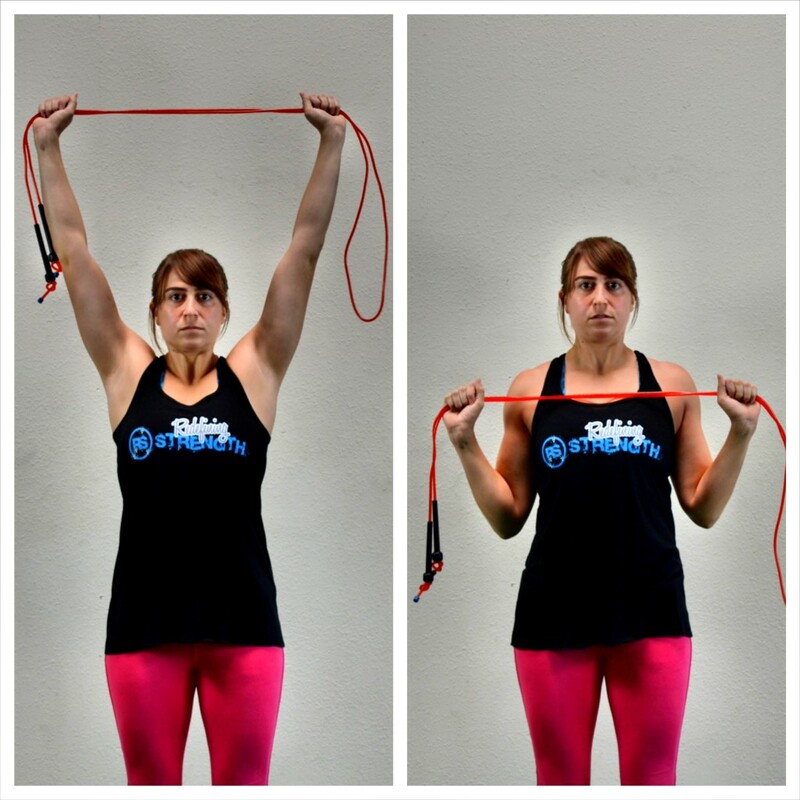 To do the Inverted Row, hold a suspension trainer strap in each hand or hold onto a bar set to the right height. Walk your feet forward so that you are leaning back. The closer to parallel to the ground you get, the harder the move will be. With your arms straight, squeeze your core and glutes and press your chest out so there is tension between your shoulder blades. Make sure you don’t shrug your shoulders and that your body is in a nice straight line from your head to your heels. Do not let your low back arch. Then row up, keeping your body in that nice straight line. Bring your chest up to the handles or bar and do not arch your low back to get all the way up. Also make sure you are driving your elbows down and back as you row up so that your shoulders don’t shrug. Then lower yourself back down. 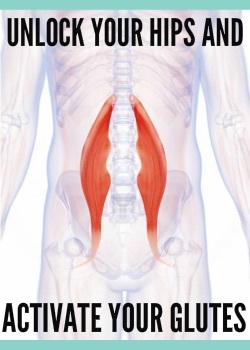 Don’t let your hips sink as you lower back down or your low back arch. Also, keep your chest pressed out the entire time (make sure you don’t round your thoracic spine at the bottom). Move in a controlled fashion as you keep tension between your shoulder blades the entire time. Make sure you row low and don’t shrug your shoulders at any point. Do not bounce off the bottom of your row or use momentum to get back up. For variations of the Inverted Row, check these out! While the Pull Up and Inverted Row are MUST-DO Back Exercises, if you don’t have any equipment at home, you can still get in a great back workout that will improve your posture and prevent injury. 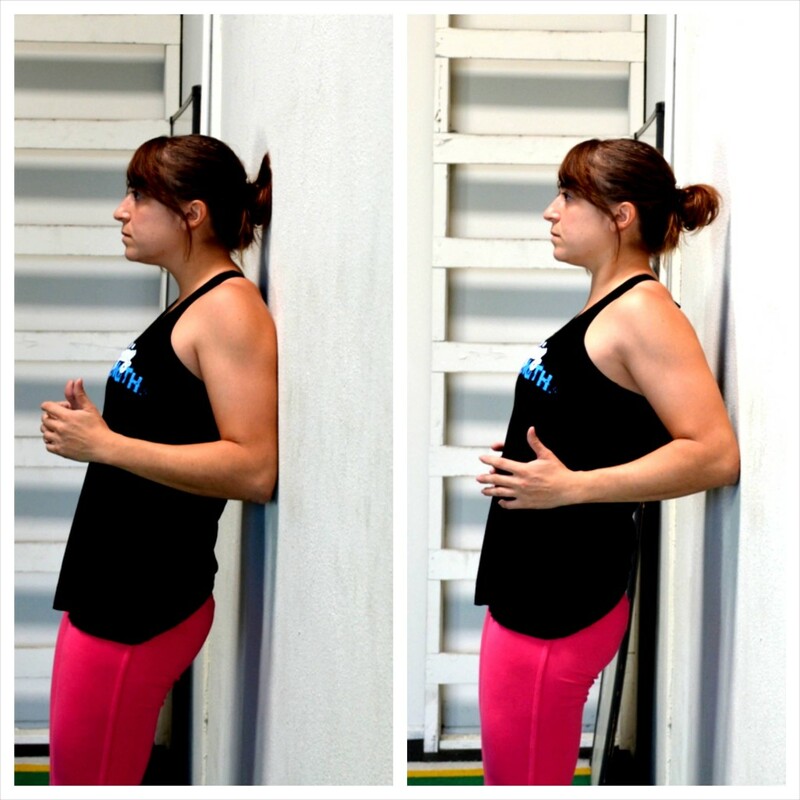 Scapular Wall Hold – The Scapular Wall Hold is a MUST-DO exercise for anyone with a back job. It will improve your pull ups and alleviate upper back, neck and shoulder pain. To do the Scapular Wall Hold, stand about six inches from the wall. With your back to the wall and your elbows bent in by your side, drive your chest out and your elbows back. Then lean back against the wall on your elbows. Only your elbows should touch as you lean back. Draw your shoulder blades down and back and make sure to drive your chest out and open toward the ceiling. 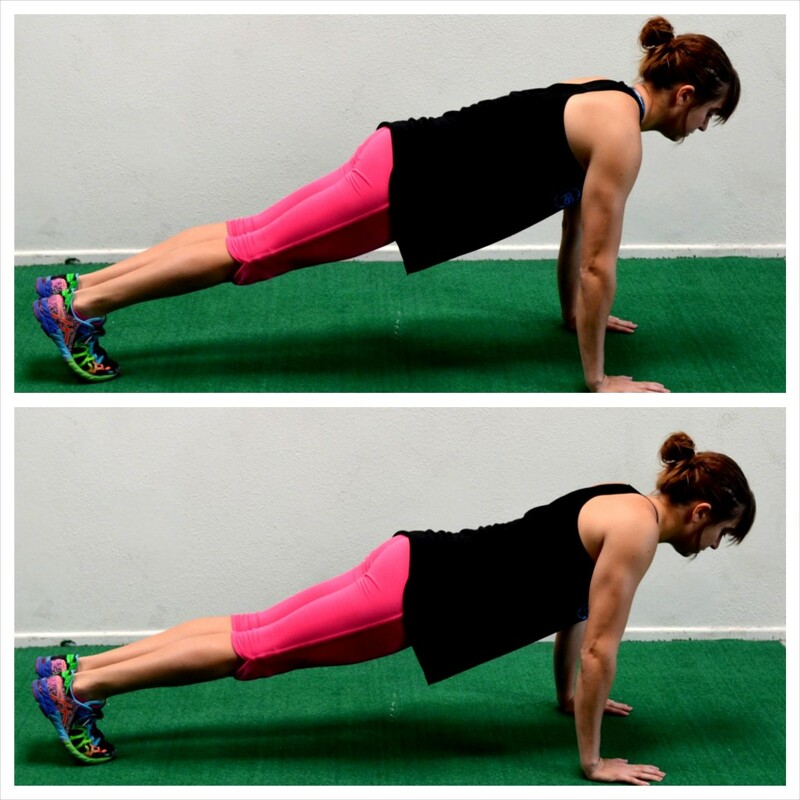 Do not shrug your shoulders and keep your body in a nice straight line as if holding a plank. Keep your head in line with your spine and do not tuck your chin. Walk your feet back toward the wall to make the move easier or walk them away to make the move harder. Make sure to drive the chest out and draw your shoulder blades down and together as you hold. Corner Rows – This is a dynamic variation of the Scapular Wall Hold and a great way to work your back without any equipment. Stand in a corner with your back relaxing against the walls and your feet about six inches from the corner. (You can also do this just off the wall like demonstrated above if you don’t have a useable corner.) Place an elbow against each wall with your elbows bent. With your body in a nice straight line, drive off the wall with your elbows, pressing your chest out and pinching your shoulder blades down and back. Relax back into the corner, keeping your body in a nice straight line from your head to your heels. Do not arch your low back as you press out. 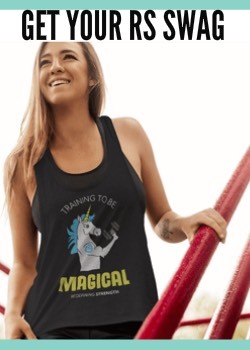 Also, make sure not to shrug your shoulders. The further from the corner that you walk your feet out, the harder the Corner Row will be. 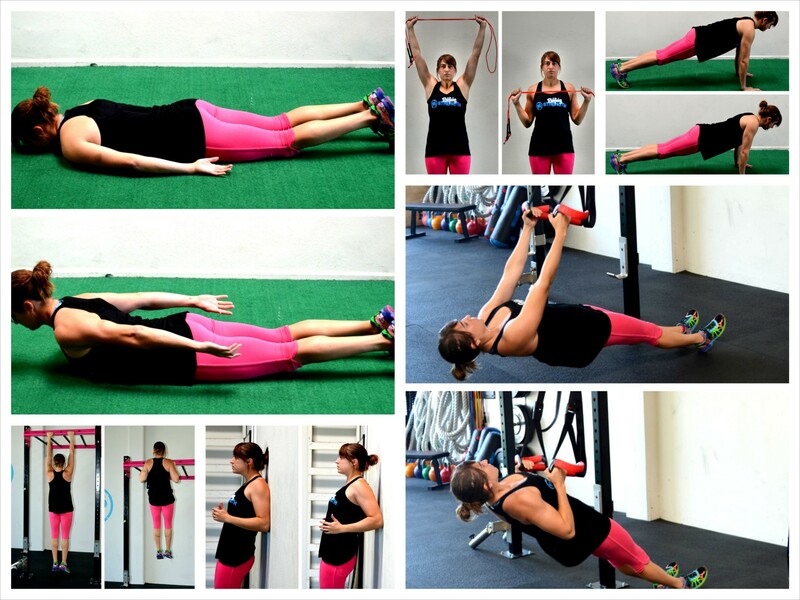 Towel Pulldown – A great vertical pull to improve your scapular retraction using only a towel. To do the Towel Pulldown, grab a bath towel with both hands about shoulder-width apart. Press the towel overhead, pulling out on the towel so that it is taunt between your hands. Press your chest out and pull the towel down toward your chest, pinching your shoulder blades down and back. Drive your elbows down to the ground as you pull the towel down keeping it tight between your hands. You can either hold at the bottom of the pull or complete repetitions. If you do repetitions, move slowly and make sure to maintain tension on the towel the entire time. If you don’t have a towel, you can do this with just your bodyweight. Just focus on pressing your chest out and driving your elbows down toward the ground. Scapular Push Ups – A great move to work on scapular retraction while also working your core. Set up in a high plank position with your hands under your shoulders and your feet together. Your body should be in a nice straight line from head to your heels. Then press your chest out and pinch your shoulder blades together. Your hips should not drop toward the ground and your elbows won’t bend. The Scapular Push Up is a very small range of motion. All you are doing is pinching your shoulder blades together and then relaxing. Make sure you keep your head in line with your spine and don’t tuck your chin as you complete your reps.
Cobra – A great posterior chain move that works your back and even activates the glutes. To do the Cobra, lie face down on the ground with your legs out straight and your arms straight down by your sides. Then squeeze your glutes and pinch your shoulder blades down and back to lift your chest as high off the ground as you can. Keep your head in line with your spine as you raise. You can either perform an isometric hold and hold at the top of the Cobra or you can lift and lower for reps. Even if you perform reps, hold for a second or two at the top. For variations of the cobra that will also work your entire posterior chain, check out this post on the Superman Exercise. Next time you are traveling or at home and want to workout, remember these 5 Bodyweight Back Exercises to prevent injury and improve your posture. You can still work your back even if you don’t have any equipment!